The San Francisco 49ers and Zeality are organizing a contest to search for the best VR production crew, offering a grand prize of $20,000. To join the contest, submit a 360/VR video with 1 to 5 minutes duration. 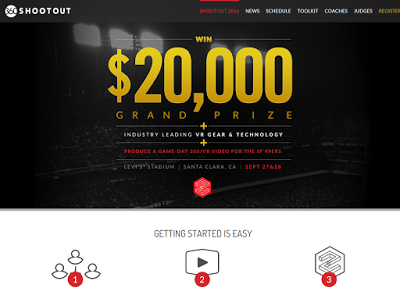 Five contestants will be chosen as finalists to compete in a two-day Shootout/Hackathon to produce the best Game Day 360°/VR video for The San Francisco 49ers.